Pink Castle Blog: What is the Best Janome Sewing Machine for Kids? What is the Best Janome Sewing Machine for Kids? Is your child starting to take an interest in sewing? If so, we certainly have the perfect introductory sewing machine for them! Janome Sewing Machines are great for all ages of quilters and seamstresses alike! You can purchase any of the following machines on our website at pinkcastlefabrics.com or by stopping into our shop in Ann Arbor, Michigan. 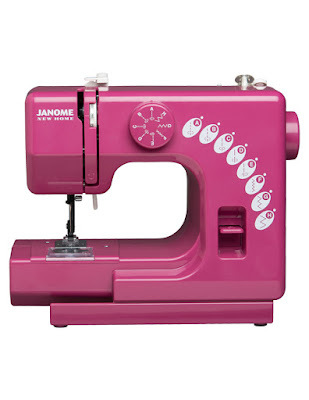 The Janome Sew Mini is the perfect machine for a young beginner. The Sew Mini is the smallest machine on the Janome market making it easy for your child to tote it back and forth from sewing classes. This sewing machine is for sale for $69. Two stitches: a straight stitch and a zigzag stitch with varying stitch lengths and widths for some versatility. A slower stitching speed than a full-sized sewing machine, making it the perfect sewing machine to learn on. Absolutely no sharp edges! There isn't a thread cutter on the side purposefully to avoid the need for Bandaids and kisses. It currently comes in three fun colors for your child to choose from: Honeycomb (yellow), Merlot (dark pink), and Beachcomber (blue); a color for everyone! 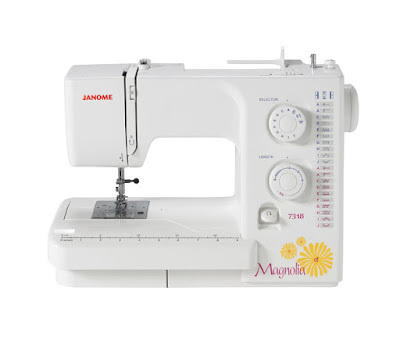 The Janome Magnolia 7318 is a step up from the Sew Mini. It is a great machine for older kids who are branching out into the sewing and quilting world. It's another lightweight sewing machine, so it's also great for taking to sewing classes! The Magnolia 7318 is a sewing machine that any beginner will easily learn to sew or quilt on. It’s perfect for introducing your child to both garment sewing and quilting. We currently have this machine for sale for $249. 18 stitches, including 1 buttonhole stitch. 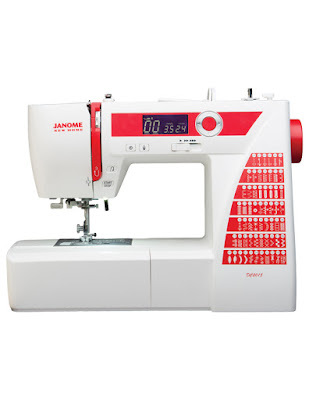 The Janome DC2015 is a sewing machine your child will use for many years to come. This sewing machine is still small and compact for easy traveling and storage, but includes many features a full-sized Janome Sewing Machine would have. This sewing machine will allow your child to grow into the machine with ease. The DC2015 comes to be $549 here at Pink Castle Fabrics. An easy-to-use speed control bar. A hard case, making travel easy and safe! Pop on in to the shop during store hours to test any of these Janome Sewing Machines out! We have them in stock online and in-store for your purchasing convenience. If you have any questions about any of our Janome sewing machines, contact Molly@pinkcastlefabrics.com.